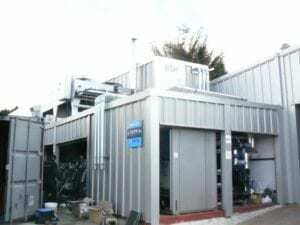 We have extensive experience of maintaining Cooling towers, Evaporative condensers, Adiabatic Coolers and chilled water systems. 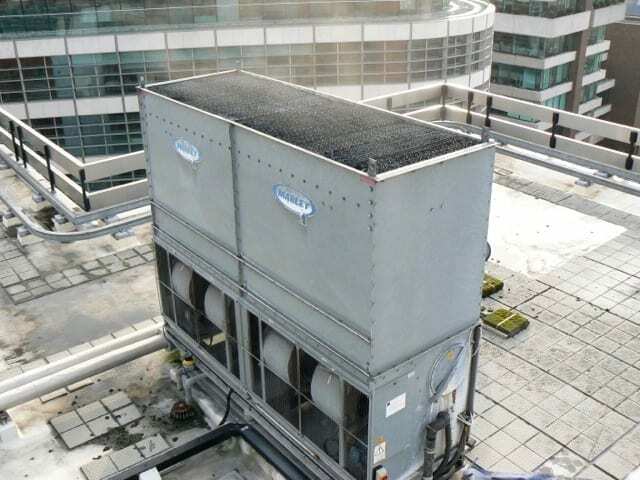 Cooling towers, Evaporative Condensers and Adiabatic Coolers are known potential high risk areas for proliferation of the Legionella bacterium. As such, they require strict monitoring in accordance with the HSE ACoP L8, “Legionnaires Disease – The Control of Legionella Bacteria in Water Systems” and HSG274 “Legionnaires’ Disease Technical Guidance”. In addition, a Code of Conduct produced by the British Associate for Chemical Specialities (BACS) and the Water Management Society (WMS) stipulates six areas to be controlled by the service provider. Working within this code, we implement on-site testing and analysis, supplying colour-coded reports. We also manage microbiological testing via UKAS approved laboratories. We treat cooling systems using dosing pumps and controllers, brominators and filtration equipment to apply a range of water treatment chemicals. For automatic reporting, our unique and trademarked vSteam® web based data logging system supplies information to update the logbook, ensuring the highest degree of control. 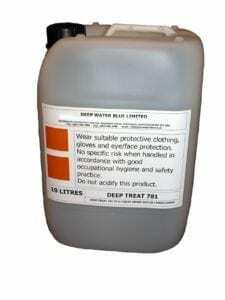 Test kits are also available for use by your own operatives as required. We believe strongly in accurate and appropriate record keeping of the results obtained from Cooling Towers, Evaporative Condensers, Adiabatic Coolers and chilled water systems. Monitoring and control is of paramount importance and so we have designed and brought to market the vSteam® web portal, operational now worldwide for the last six years. 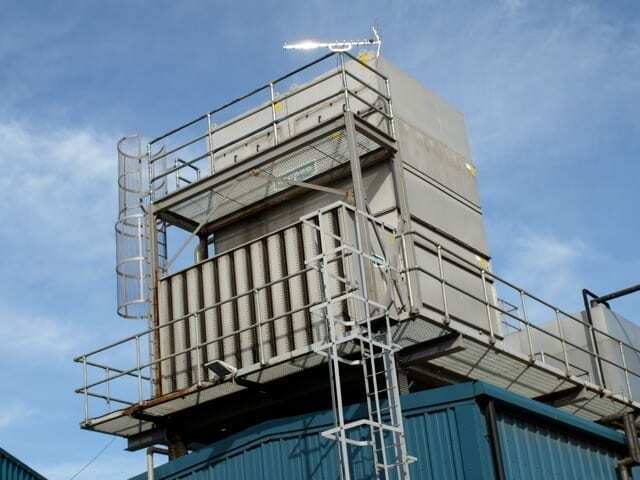 Originally developed for use with steam systems the vSteam® system now extends to any type of water treatment system from Cooling Towers and Evaporative Condensers, through to chilled water systems. It can further be adapted to meet the requirements of any water based system requiring data capture, collation and interpretation. This is a trademarked and unique, easy-to-use personal training system, interactive control panel and web based log-book. In addition, our Colourcode© system features next-generation reporting features to immediately highlight remedial actions. Cooling tower refurbishment work can also be carried out, including full strip-out, cleaning and chlorination as well as replacement of inlet louvers, drift eliminators, packing/fill, distribution systems, spray nozzles and fans. To discuss your own specific cooling water treatment requirements in more detail, please call us on 0870 460 2980.